You may have seen the above quotes or something similar in emails or on the internet over the years, but imagine if each of the above quotes was accompanied by a cartoon and there were 40 of them in a book or eBook. Well imagine no longer because “You Know You Are” books and eBooks are here! Sold exclusively through Amazon and available in both paperback and on the kindle, “You Know You Are” books and eBooks provide a humorous look at various sports, occupations, hobbies, and interests by combining these quotes/captions with cartoons created by some of the world’s best cartoonists. 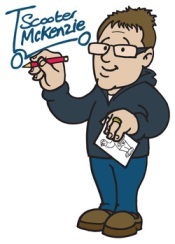 The book ‘creator’, and founder of You Know You Are Books is Richard McChesney, a New Zealander with a great sense of humor, but an acute inability to draw anything more than a basic stick man. But the real talent are the book illustrators – six fantastic cartoonists who take the quotes and captions and deliver exceptional sketches which are then turned into the popular books and eBooks known as the “You Know You Are’ series. 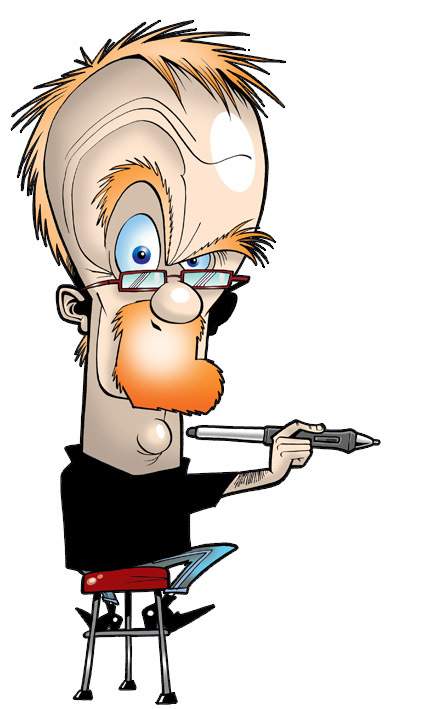 ‘BRIGHTY’ is Steve Bright, a full-time professional stalwart of the cartooning game for over 30 years, working in almost every cartoon capacity you can think of, and a few you’d probably never dream of. Brighty lives in Shropshire, England. Paul Wooldridge, or Woolly to friends, is based in Birmingham, England and has been working as a professional cartoonist/caricaturist of 30 something years, selling mainly to UK based publications. 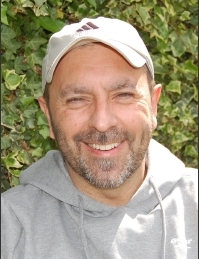 David Banks lives in Colchester, England with his wife and two daughters. His hobbies include bull-baiting, paragliding and flower arranging and his favorite soft drink is lager. His ambition is to become a radio cartoonist. Peter Bellingham is better known as ‘Scooter McKenzie’ and is based in Abingdon, Oxfordshire, England, which is England’s oldest town. Scoot has been cartooning since the early 90’s. Robert Brocksmith (“Brock”) has been a professional cartoonist for twenty years and his work has appeared in many books, magazines, newspapers and the occasional mug. As well as a cartoonist, Brock is also a professional CGI artist and animator and he also does some window cleaning on the side. Rupert Besley has worked full-time as freelance cartoonist for 30 years and his work has appeared in books, on postcards, and also in places such as bus timetables, beer mats, posters, exam-papers, and much more. Rupert lives on the Isle Of Wight in England.